When we speak of Eid and Ramzan we speak of Salman Khan. Every year his film releases on Eid, the box-office ticket counters are swept by storm and thunder. Well, bhai this year is coming with 'Tubelight', a war drama directed by Kabir Khan and produced by Salman Khan himself. It is scheduled to release on June 23 and has been garnering applause since its trailer release. Bhai is a trendsetter and 'Tubelight' is generating millions of tweets, retweets and hashtags on Twitter. 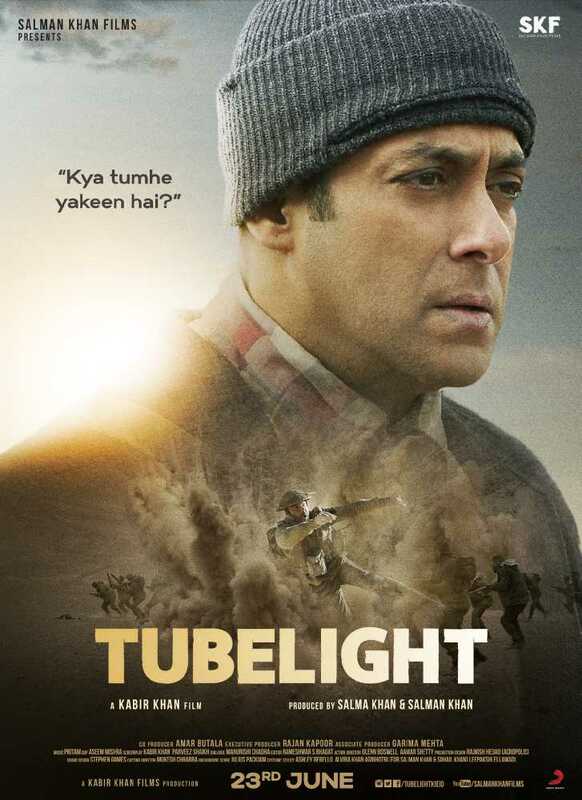 Tubelight is an adaptation of 2015 American film 'Little Boy' and stars famous Chinese actress Zhu Zhu. Every time Salman Khan film releases it breaks all the previous records. Do you think 'Tubelight' would shatter all the records and set the bar rather high for the upcoming films in Bollywood?